Foothill Studio (formerly GT Studio of Long Beach, CA) is nestled in the foothills of the Blue Ridge Mountains on 5.5 acres of hardwoods! 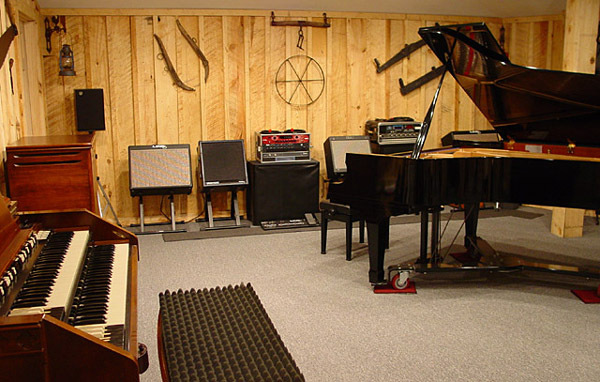 We have 1500 square feet of dedicated space including a lounge area, large room with a 6'10" Kawai grand piano, Hammond C-3 with Leslie 122 speaker and various guitar/bass amps. Carpet-covered counters surround the lounge to protect your instruments. There is a Sonex-treated vocal isolation booth, an isolated drum/quartet room, a kitchen/snack area, restroom; and, last but not least, the control room. The hub of every studio, it is filled with all the gear needed to record analog or digital. All interior walls are finished in locally grown, kiln dried, rough sawn yellow pine installed in the board and batt manner. The place feels and sounds warm and friendly. 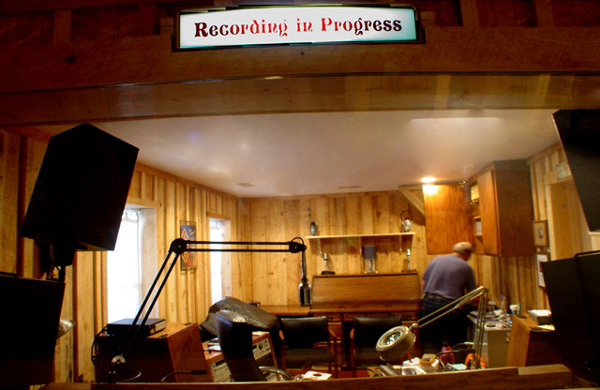 Owner/engineer W. C. Wells, "Bill", brings 35+ years of experience in live sound and studio engineering to the console. Having led Gospel Train (a bluegrass gospel band for 18 years), led worship in small and large churches on the west coast, and currently part of the "River Road Band" (a local bluegrass band) shows the shoe has been on both feet! With that much time in front of the mic as well, it means he knows how it feels.